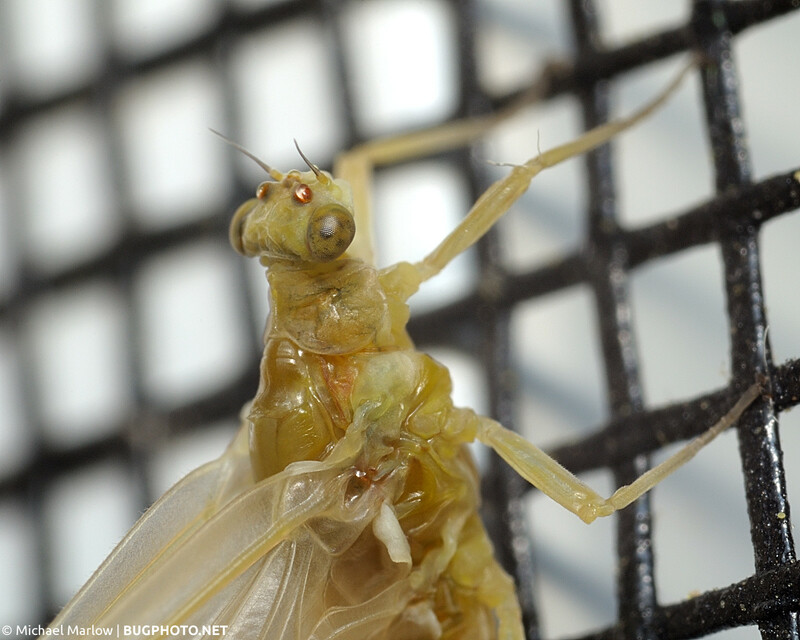 The little red jewels on this mayfly’s brow are the ocelli, light-sensing eye-like structures. 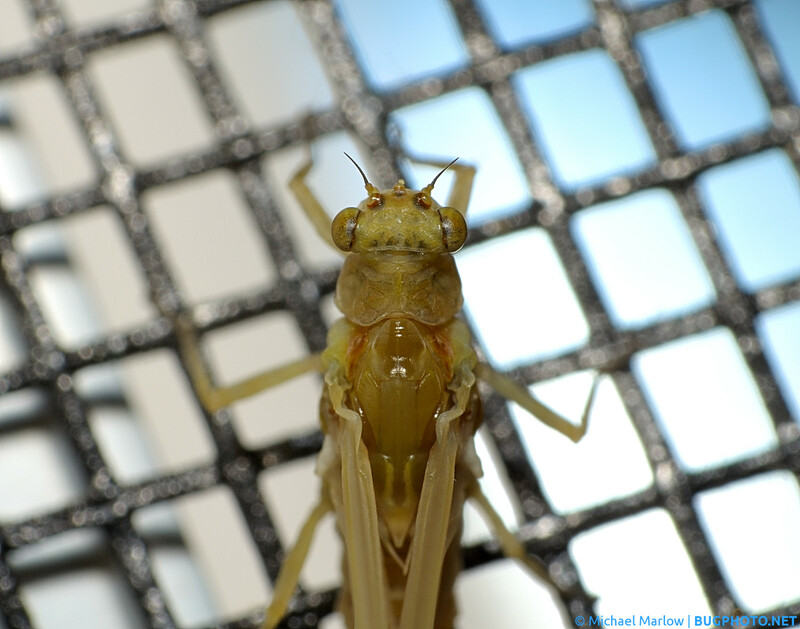 Read a little about mayflies, and you will find that they are curious creatures. Among insects, they are the only ones that molt after they have gained their wings. Before this special molt, this winged life-stage is known as the subimago (the adult stage, post-molt is known as the imago, naturally). BugGuide.net says on their mayflies page that subimagos have “wings cloudy in appearance,” which fits the bill of this particular specimen, but I’m not sure how to positively identify it as a subimago or imago. The mayfly under blue sky. 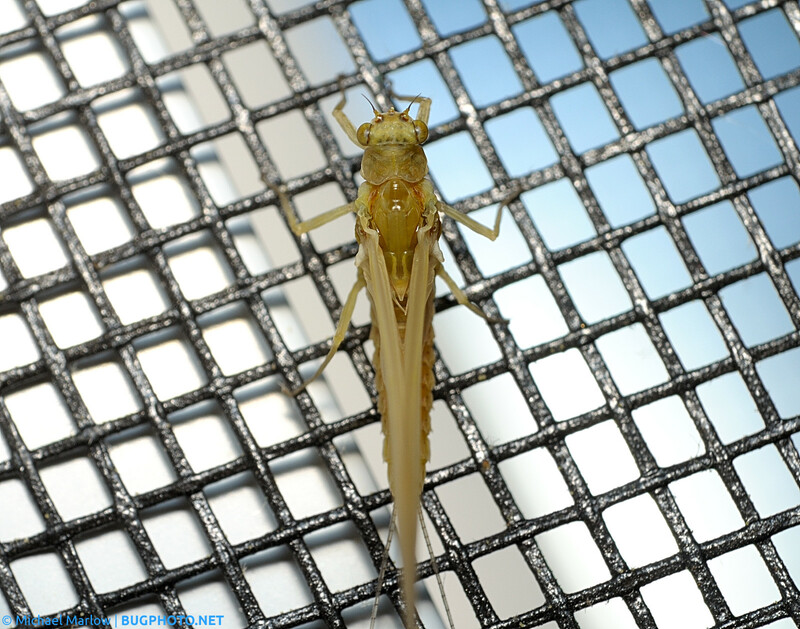 Mayflies on window and door screens are common occurrences, especially near freshwater bodies. 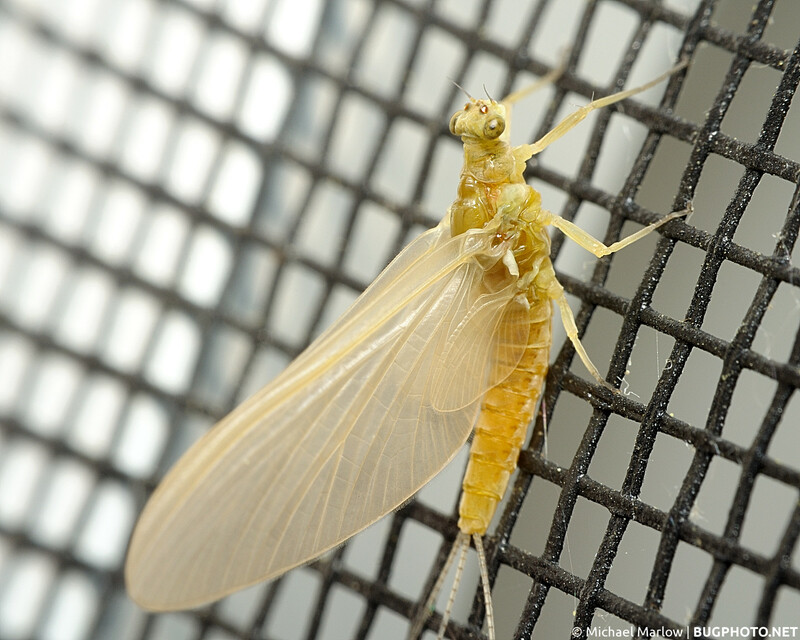 Usually a winged-insect means that it is a final stage adult, but mayflies have “subimago” stage where the have a molt after gaining their wings! Posted in EphemeropteraTagged bug portrait, ephemerality, Macro Photography, mayfly, metaphor, molting, one day fly, subimago, window screenBookmark the permalink.